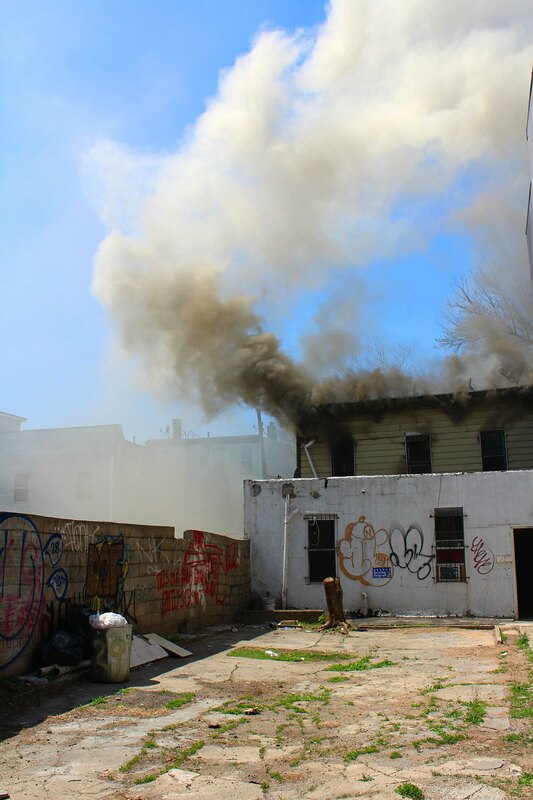 Yesterday afternoon, the top story of a residential building located on Troutman St. between Central Ave and Evergreen Ave (across the street from Castlebraid building) burst into a huge fire. 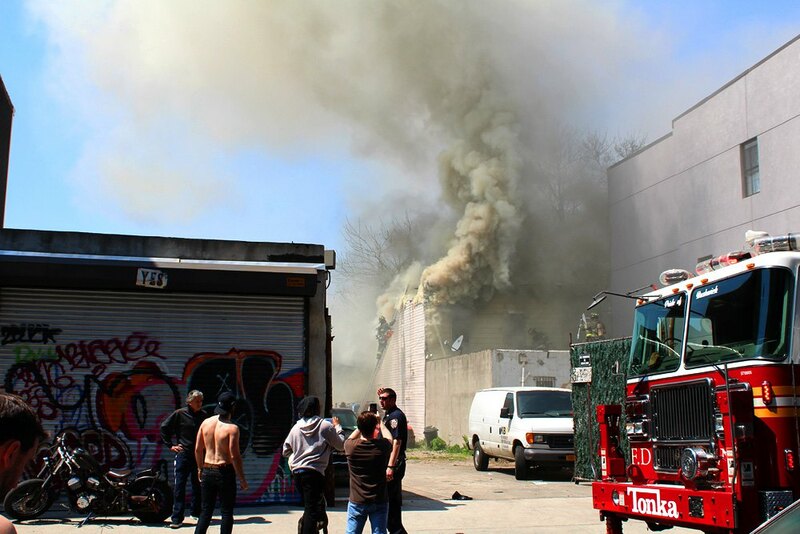 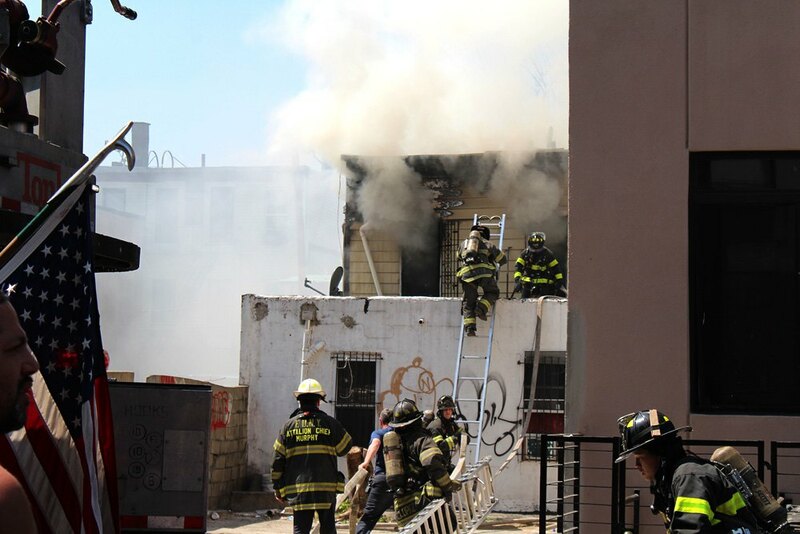 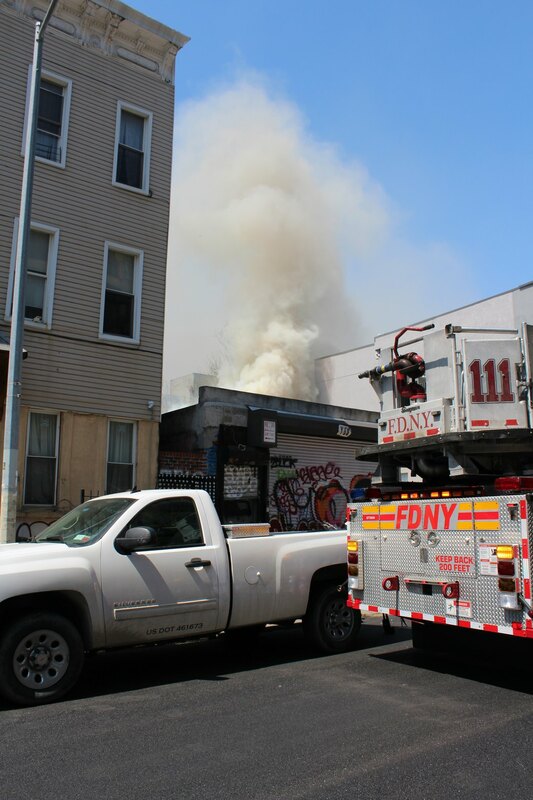 Bushwick resident Michelle Christina Larsen told us: "I was in the backyard at Central Cafe and saw the smoke coming over the back of the brick wall behind me, and by the time I got onto the street, everything was so engulfed you couldn't even see." 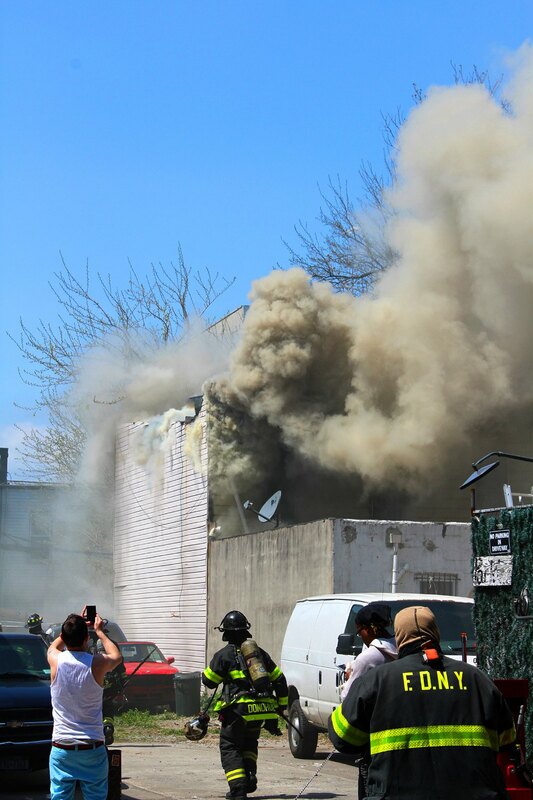 Quickly, more than 10 firetrucks arrived to battle the fire and it appears that the top story of the building has been completely demolished. 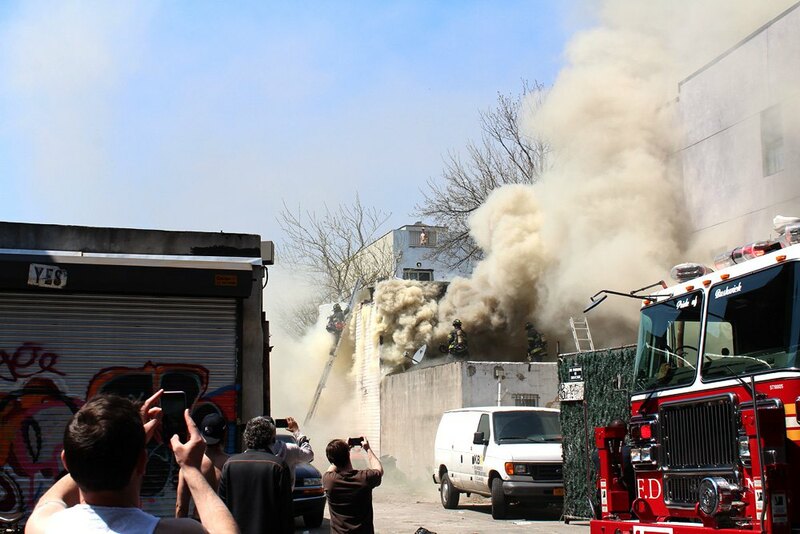 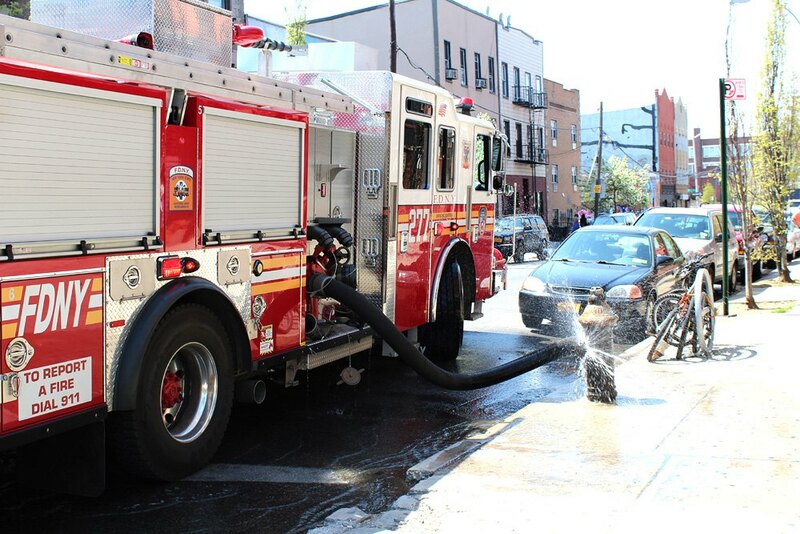 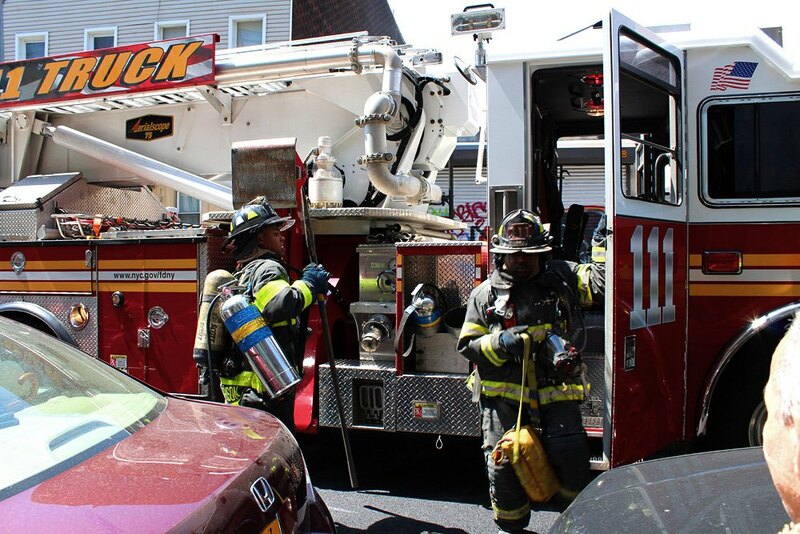 According to FDNY, the fire is still in progress and thus the final report has not been filed, therefore they couldn't confirm the cause of the fire and whether anyone has been injured.